Creation: This tiara was created in 2005 by FRED. 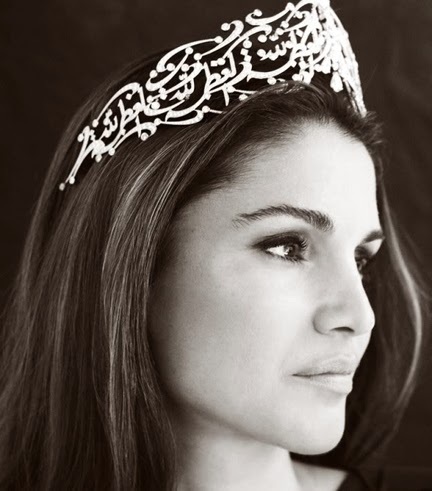 What does the tiara say in Arabic? I saw somewhere that this tiara might say "Magnificence belongs to God." I can not source where I saw that nor speak on the accuracy. It´s an inscription from the Coran: "Only Allah is the Great"